Our white label dashboard is one of the tools we offer that our partners ask about all the time. We receive more inquires now that some service providers have announced they will discontinue their rank tracking services early next year. What I’m going to do now is to compile these entries and make an ultimate guide to our white label dashboard. 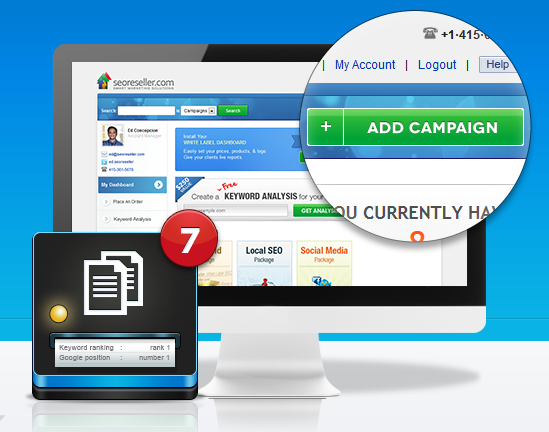 Everything you need to know about our SEO tools and reporting suite will be found here. Take a tour around our white label dashboard platform. Learn how you can set up your dashboard quickly using our dashboard setup wizard. It only takes three steps to create your own client reporting suite. Discover what makes our white label dashboard the ultimate SEO tool. We’ve put together a list of all the unique features found in our suite. In this blog, I give you the basic features you need to find on your branded client dashboard. Use it as a checklist when choosing what dashboard to add to your site. Learn how to gauge the success of your clients’ campaigns using the metrics we provide in our dashboard. We’ve put together a presentation that shows you what data you need to include in your KPIs. You can also view a complete list of our dashboard features on our White Label Dashboard page. Contact your account manager today if you have any questions about your white label dashboard and our other services. If you’re not yet our partner, don’t forget to sign up today for free to start setting up your branded client dashboard. Keep checking back for more tips and updates!